On June 7, Ontario voters will cast their vote and choose a new government, and based on Kathleen Wynne's comments over the weekend, the Liberals may lose official party status. In April, polling data indicated that roughly half of Ontarians have made up their mind. That leaves the other half still undecided and with an important decision to make, especially given the projected neck and neck race between Ontario’s Progressive Conservative Party (PC) and the New Democratic Party (NDP). 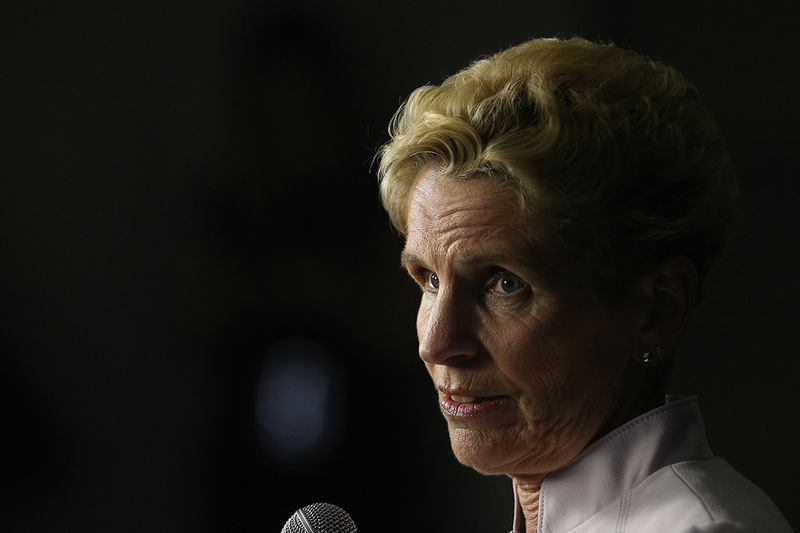 Public support for Wynne has nosedived since the campaign started, and recent polls have suggested even longtime strongholds could be lost for the Liberals. In Ontario, parties need at least eight seats in the legislature to be formally recognized. On Saturday, Wynne acknowledged that she will no longer be premier after the election, encouraging voters to elect Liberal candidates to prevent the NDP or PCs from securing a majority. Jeff Rosenthal (below), professor of statistical sciences in the Faculty of Arts & Science, talks to U of T's Dee Keilholz about whether we can trust the latest polls and whether there's ways to maximize the impact of our votes. Can we trust the polls – in this election and generally speaking? Generally speaking, I’d say ‘yes.’ Polls are not as far off as many people think. If you can take a truly random sample of people, even if you just sample 1,000 people out of 9 million voters, you still get quite accurate results. If you poll 1,000 people, the margin of error is down to about three per cent. However, the challenge with polls and their accuracy is that it is really difficult to get a truly random sample. What if, for example, the people who respond to pollsters are also more likely to vote for a certain party? What if certain age groups are more likely to respond? Do people tell pollsters the truth? That’s what leads to biases and that's when polls can run into trouble. Polls are a great illustration of the power of randomness. In fact, my main research area, Monte Carlo algorithms, uses this same kind of randomness to estimate quantities which are too complicated to compute directly. What have the polls been predicting for the Ontario elections? In this election, the polls project a close race between the NDP and PCs. The Conservatives will probably do better in their seat count than their vote count, so it's quite possible that the NDP wins more votes but the Conservatives get more seats. It is true, though, that seat projections are complicated, and there have been cases in the past where the forecasters got it wrong. In the 2011 federal election, for example, forecasters almost unanimously predicted that it is extremely unlikely that the Conservative party would win a majority – but they did. I wrote a paper about this, suggesting a more accurate seat projection method. So what should voters do to get a clear picture? It’s smart to look at a bunch of polls, instead of just one. The easiest way to do that is to visit polling sites that take multiple sources into account. I recommend Calculated Politics or the CBC Poll Tracker. What kind of polling data should voters pay special attention to if they want to vote strategically? In Canada, we have a first-past-the-post system. Whoever wins in a riding takes that seat. That means strategic voting can really have an effect. If you want to vote strategically, you should pay attention to the projection for your riding. Let’s say you want party x to lose and party y to win, but you’re also OK with voting for party z. You should find out if party y or z is most likely to win in your riding and vote for whoever is ahead. Unfortunately, projections for ridings can be a bit tenuous, because they are based on the latest provincial polling and results of past elections in that riding, rather than actual polling data from that riding. However, I still think this is a reasonable approach – and your best bet if you choose to vote strategically. What effect is voter turnout going to have on this election? If the decision to vote is independent of political leanings, voter turnout has no effect because you still get the same relative proportions. However, if groups with certain political beliefs are more likely to vote – or not to vote – than others, that can indeed make a difference. We saw that in the 2015 federal election. Voter turnout for 18- to 24-year-olds went from 39 per cent in the 2011 election to 57 per cent in 2015 because Justin Trudeau really connected with the younger demographic – and he won. In this election, it appears that older people are more likely to support the Conservatives and are also more likely to vote than younger people. Younger people are more likely to support the NDP but less likely to vote. So, voter turnout is an important issue in this election. Can the upcoming provincial election give us any clues as to how the 2019 federal election might turn out? The Liberals in Ontario are expected to do quite badly in the upcoming Ontario election. It's not clear exactly why this is. Voter fatigue is one possible cause. The question is will that affect the Liberal Party of Canada? Some of the federal polls suggest that the popularity of the federal party among Ontario voters is somewhat down, and that there is going to be a ripple effect. My guess is that the Ontario election won’t have a lasting impact. By the time the next federal election rolls around, this provincial election will already be ancient history.